New York, USA, 2/01/2015: With the 2014 alleged hot car murder of 22-month-old Georgia toddler Cooper Harris by his father Justin Harris still in the media, two true crime authors in their own right have collected similar stories of such tragedies to document the frequency of hot car deaths and show that the Georgia tragedy is no more than a continuation of a horrific history. Recently, notorious Serial Crime Expert RJ Parker, author of seventeen true crime books, and bestselling crime author JJ Slate announced the completion and pending publication of their anthology titled Backseat Tragedies: Hot Car Deaths. Available now to pre-order and set to hit the shelves April 14th in eBook, paperback, and audiobook (mid-May), the book depicts past tragedies and explains some of the research behind why experts think these accidents happen so frequently. This book also discusses new technologies coming to the market that will hopefully put an end to hot car deaths completely. JJ Slate is the author of bestselling Missing Wives, Missing Lives and has a new release coming February 28, Till Death Do Us Part: A Collection of Newlywed Murder Cases. She also co-wrote Social Media Monsters: Internet Killers with RJ Parker. 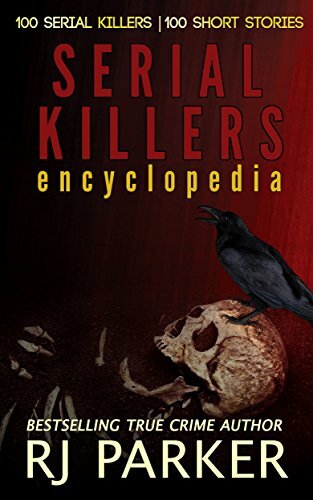 RJ Parker is an acclaimed bestselling true crime author of mostly serial killer books, such as Serial Killers Abridged: An Encyclopedia of 100 Serial Killers, SerialKillers Case Files, Top Cases of The FBI, and SerialKiller Groupies. He also co-wrote volumes 1 and 2 of SerialKillers True Crime Anthology. Besides writing, RJ is the CEO of RJ Parker Publishing, Inc., publisher of True Crime and Crime Fiction books.